Wiss 8 1/8'' Bent Trimmers Industrial ShearsProfessional dressmaker and industrial use Finest quality cutlery steel Hot drop-forged nickel-plated blades Patented SET-EASY pivot Precision ground blades for sharper cutting edges & longer blade life . The 428N Wiss 8 1/8'' Bent Trimmers Industrial Shears is one of thousands of quality tooling products available from MRO Tools. Please browse Wiss Scissors and Shears for tools similar to the 428N Wiss 8 1/8'' Bent Trimmers Industrial Shears. 428N Wiss 8 1/8'' Bent Trimmers Industrial Shears description summary: Wiss 8 1/8'' bent trimmers industrial shears professional dressmaker and industrial use finest quality cutlery steel hot drop-forged nickel-plated blades patented Set-Easy pivot precision ground blades for sharper cutting edges & longer blade life. 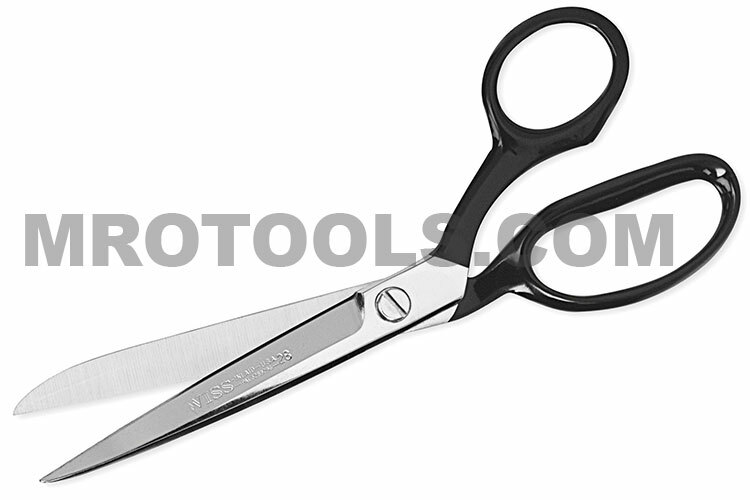 Quantity discounts may be available for the 428N Wiss 8 1/8'' Bent Trimmers Industrial Shears. Please contact MRO Tools for details.